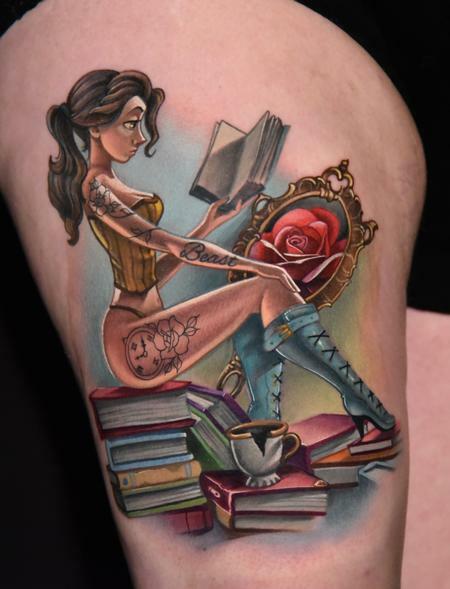 PInup tattoo of Belle from Beauty and the Beast. The image is my rendtion of a painting by Joel Santana called "Inked by the Beast." We're saving Beast for the other thigh!